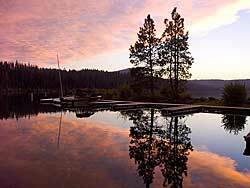 This Gallery is filled with lakes in Oregon's Cascade Mountains. 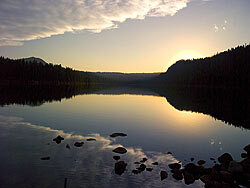 Although this gallery is just beginning, the images pictured here ARE available at this time. 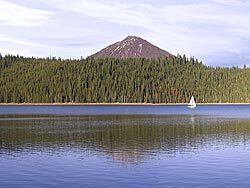 There is no best season nor a best time of day to visit Oregon's Cascade Lakes as every day and every season is delightful. 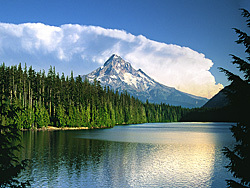 Trillium Lake reflects beautiful Mt Hood and is a favorite fishing hole. 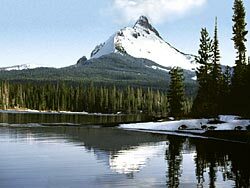 It is quite close to Government Camp and Timberline Lodge. 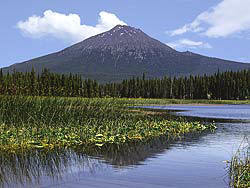 Big Lake has snowy Mt Washington looming over wildlife that depend on this secluded water body. 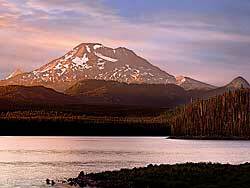 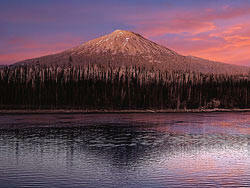 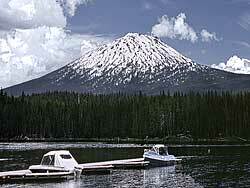 Elk Lake is lovely in warm sunsets that present Mt Bachelor and South Sister in pinks, oranges and violet. 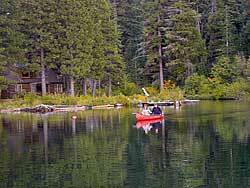 Suttle Lake in the Willamette National Forest is also a colorful getaway. 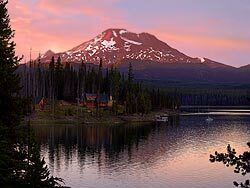 Whether you are boating, fishing, camping, dining, lodging, or just passing through...the Cascades Lakes are all a sight to behold.